This article is about the 1812 battle. For the World War II battles around Vyazma, see Battle of Vyazma (1941), Vyazma airborne operation, and Operation Hannover. The Battle of Vyazma (3 November 1812) occurred at the beginning of Napoleon's retreat from Moscow. In this encounter, the rear guard of the Grande Armée was defeated by the Russians commanded by General Mikhail Andreyevich Miloradovich. Although the French repelled Miloradovich's attempt to encircle and destroy the corps of Louis Nicolas Davout, they withdrew in a partial state of disorder after suffering heavy casualties from continued Russian attacks. The French reversal at Vyazma was not decisive, but it was noteworthy because of its disruptive impact on the Grande Armée's retreat. Two weeks before the Battle of Vyazma, Napoleon began his retreat from Moscow because Moscow was isolated deep in enemy territory, and was thus unsuitable as the Grande Armée's winter quarters. Napoleon's objective at this stage of the retreat was to lead the Grande Armée to his closest major supply depot, Smolensk, which was 270 miles (430 km) west of Moscow. The campaign was then to be recommenced in the following spring. The French departed Moscow on 18 October, and after having a southern route to Smolensk denied them as a result of the Battle of Maloyaroslavets (24 October), they were compelled to backtrack and retreat along the same road used in their earlier advance on Moscow. Because the territory alongside this road had been economically ravaged by earlier campaigning, the retreat imposed on the Grande Armée extreme conditions of privation and attrition. 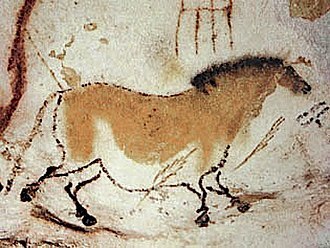 Lack of foodstuffs soon led to demoralization and disorder in the French ranks. By 3 November, the day of the action at Vyazma, the retreating Grande Armée was stretched out in a column 60 miles (100 km) long. The head of the column, Junot's VIII Corps, was at Dorogobuzh, with Davout's I Corps, serving as the army's rearguard, located at the tail of the army just east of Vyazma. Between these two endpoints were, running west to east, the Imperial Guard, Joachim Murat's troops, Michel Ney's III Corps, Poniatowski's V Corps,[notes 1] and Eugène's IV Corps. At this point, the French retreat was harassed by Cossack attacks at every juncture, Davout's corps in particular being beleaguered by Russian attacks. 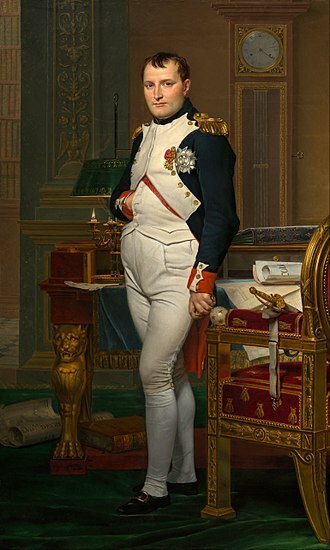 By 2 November, Napoleon had grown dissatisfied with Davout's management of rearguard activities, and ordered Ney to remain in Vyazma, to allow the I, IV, and V Corps to bypass him, and to assume rearguard duties himself. The Russians, meanwhile, organized themselves into three groups while pursuing the French. 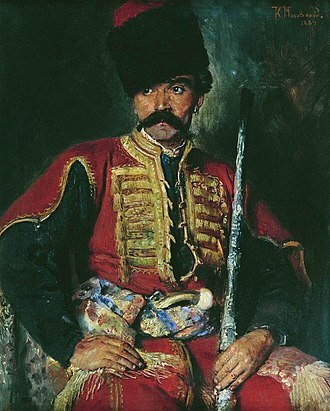 First, following Davout closely were 5,000 Cossacks commanded by Ataman Platov. This group was supported by General Ivan Paskevich's 26th Division, with 4,000 troops. Marching slightly to the south was General Miloradovich with the II and IV Infantry Corps, some 14,000 troops in all, and the II and III Cavalry Corps, which amounted to 3,500 soldiers. Miloradovich coordinated the activity of all of these troops, including those of Platov and Paskevich. The main Russian army led by Mikhail Kutuzov, some 70,000 troops in all, marched further to the south. On the evening of 2 November, while conducting reconnaissance south of the Smolensk-Moscow road, Miloradovich, together with his cavalry commanders General Korff and General Sievers, noticed a gap between the I Corps, situated to the east at Fedorovskoye, and the troops of the IV and V Corps located to the west just outside Vyazma. Recognizing an opportunity to isolate and destroy Davout's corps, the aggressive Miloradovich decided to attack early the next morning. At 8 a.m. on 3 November, Miloradovich's cavalry attacked the disorganized French column holding the length of road which separated the I Corps from the IV and V Corps. Miloradovich also ordered his artillery, positioned on nearby heights, to begin a cannonade. The attack was a complete success, as it captured the French IV Corps baggage train and sent the French troops fleeing in disarray. Miloradovich then placed infantrymen and horse batteries astraddle the road, thereby severing Davout's connection with the rest of the French army. Simultaneous to Miloradovich's attack to the west of Davout, Platov's Cossacks attacked Davout from the east, supported by Paskevich's troops. Davout's infantrymen formed squares to meet the attack from Platov and Paskevich, and his artillerymen set up their pieces to return Miloradovich's fire. The 14,000 exhausted, hunger-weakened soldiers of Davout's Corps were now at risk of being overwhelmed and destroyed by the Russians. 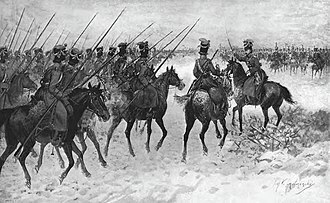 Fortunately for Davout, there was a weakness in the Russian plan of attack, in that the Russian cavalry had attacked the Vyazma-Fedorovskoye road that morning without the full support of the II and IV Infantry Corps (led by Eugene of Württemberg and General Ostermann-Tolstoy respectively), which were located to the south and would not be able to reach the battlefield until 10 a.m., two hours after the action commenced. Miloradovich, fearing that the gap between Davout and the rest of the French army would close before he could exploit it, felt it expedient to launch his cavalry attack without having the balance of his infantry on hand. Lacking sufficient numbers of infantrymen to consolidate their hold on the Vyazma-Fedorovskoye road, Miloradovich's cavalry was vulnerable to a determined French counterattack. At this juncture, Davout's fortunes changed for the better. His infantrymen to the east repulsed Platov and Paskevich with steady, disciplined musketfire. More importantly, Eugene heard the cannon fire engulfing Davout's position to the rear, and immediately ordered his troops to counterattack Miloradovich and regain possession of the Vyazma-Fedorovskoye road. Eugene's counterattack fell on the rear of the troops Miloradovich had positioned on the road facing Davout. This counterattack was conducted by two of Eugene's Italian divisions, one division of Poles from the V Corps, and a single regiment of troops sent to the scene by Ney, whose III Corps was positioned in the heights near Vyazma. Davout, upon seeing these troops advancing to rescue him, sent his infantrymen to attack as well. Miloradovich's cavalry and his small body of infantrymen were now attacked from the east and the west, including being enveloped in French artillery shot, and were compelled to retreat from the road. Thanks to Eugene's counterattack, a passageway had been created on the Vyazma-Fedorovskoye road for Davout to continue his retreat. The Russians at this point had been repulsed at all points, but they were hardly finished with the battle. 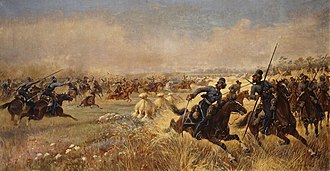 Having pulled back from Eugene's attack, Miloradovich ordered his troops to reposition themselves parallel to the road. A heavy cannonade was then commenced against Davout's troops as they retreated toward Vyazma. Davout's artillery was unable to respond effectively to the Russian fire, and panic broke out among his troops. …disorder reigned in the I Corps – the one commanded by Davout. The sudden maneuver, the surprise, and particularly the tragic example of the crowd of unhorsed, unarmed cavalrymen running up and down in blind fright, threw this corps into utter confusion. This spectacle encouraged the enemy, who credited themselves with a victory. Their artillery, superior in strength, galloped into position and, opening an oblique fire on our lines, began mowing our men down, while our own guns were coming back to us at a snail's pace from Vyazma. The damage wrought by the Russian artillery on Davout's troops was such that many of them were compelled to abandon the road, and to retreat across an open field in their desperation to reach safety behind Eugene's position. By 10 am, when the rest of Miloradovich's infantry arrived, Davout's battered corps had taken shelter behind Eugene. On the remainder of the Russian infantry coming up (Eugene of Württemberg and Ostermann-Tolstoy), Miloradovich renewed the attack under protection of a superior and admirably served artillery. The enemy fell back on a second position, between Rjavets and the farm of Rieaupiere, and thence, when menaced on both flanks, to some heights in front of Vyazma, where they were reinforced by the two Italian divisions, the Italian guards, and the corps of Ney. According to Segur, the Russian cannonshot and musketry at this point were "frighteningly effective." At 2:00 p.m., Davout, Eugene, and Poniatowski/Zajączek conferred, and they concluded that victory was not possible given the disorganization in the French units caused by the Russian aggression. Soon, the three French corps had retreated into Vyazma. At some point prior to the three French corps falling back to a position on the heights protected by Ney, Miloradovich urgently requested reinforcements from Kutusov, as he recognized that the French were vulnerable and the opportunity for a great victory may have presented itself. Kutusov, who was now within earshot of the battle with his main army (just 20 miles (32 km) away), sent only the 3000 cuirassiers of General Uvarov and nothing more. At 4 p.m., the fighting spread into the town of Vyazma itself, which at this point was consumed by flames. By now the infantry of General Choglokov (from Ostermann-Tolstoy's corps), as well as detachments of Platov's Cossacks were engaging the French in torrid, close quarters combat on the streets of Vyazma. The French were hard pressed, and had to fight desperately to hold the Russians off while evacuating the town. By 8 p.m., the fighting was over. The corps of Davout, Eugene, and Poniatowski/Zajączek had retreated west of Vyazma, bruised but safe. Ney's rearguard was last to withdraw from the town, suffering heavy losses in a final bayonet fight with a force of Russian grenadiers. 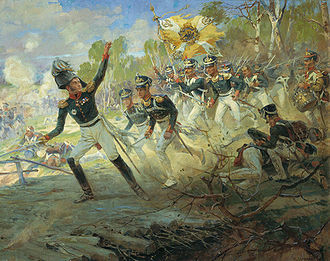 In order to cover their retreat, the French had set large sections of Vyazma on fire, resulting in many wounded from both sides burning to death. Worse yet, the French are reported to have locked civilians and Russian prisoners in buildings before setting them aflame. Russian troops pouring into the town were able to save some of these victims. That evening, Ney's corps remained on the western outskirts of Vyazma to block the Russians. 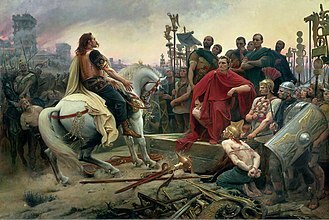 However, given the Russians' aggression, great danger remained, and according to Caulaincourt, even Ney had to "continue his retreating movement before dawn in order not to risk the loss of his troops." The next day, withdrawing along a road heaped for miles with burning, overturned wagons, and blown-up ammunition caches, Ney dispatched an entire series of grim reports to Napoleon detailing the lost battle. The Russian double-headed eagle fluttering Napoleon's banner. A monument in Vyazma, commemorating the Russian victory over Napoleon. The Battle of Vyazma represented a defeat of the Grande Armée's rearguard, as French losses in this battle, 6,000 to 8,000 casualties, including 4,000 lost as prisoners to the Russians, were prohibitive. The shock of the Russian attack reduced many French units to a state of disarray, and owing to the speed with which their retreat had to be resumed, order was never restored within them. These disorganized units became easy targets for Cossack raids in the following days. Until then – as long, that is, as it had to withstand alone the attacks of the enemy – the First Corps had maintained its honor and reputation, although it was fiercely attacked and its formation broken by the artillery. This momentary disorder was conspicuous because it was the first time that these gallant infantry broke ranks and compelled their dogged commander to give ground. I have related these painful details because from this incident must be dated our disorganization and misfortunes. The First Corps, which on taking the field was the largest and finest, a rival to the Guard, was thenceforward the hardest hit; and the evil spread. Russian casualties at Vyazma were no more than 1,800 killed and wounded, out of 26,500 troops involved. ^ According to Od Jakobina do księcia namiestnika (Jadwiga Nadzieja (1988), Wydawnictwo "Śląsk", ISBN 978-83-216-0682-8, pp. 212–213), Józef Poniatowski was wounded and from 1 November Zajączek commanded the corps. ^ See Riehn, pages 300–302, for a discussion of the severe logistical problems facing the French army in Moscow. The lengthy road connecting Moscow to the closest French supply depot, Smolensk, was 270 miles (430 km) long and impossible to defend. The road was choked by partisan activity and Cossack raiding parties. 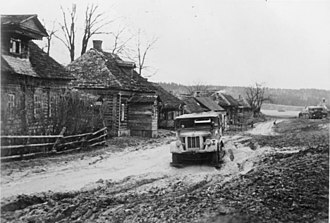 French supply trains were routinely wiped out and 15,000 French troops were captured along this road in September and October alone. ^ The deterioration of the French army's combat ability and discipline in the first two weeks of its retreat is well documented. For a discussion of this situation, see Chandler, page 823, Riehn, pages 335–337, Cate, pages 343–347, Zamoyski, pages 377–385. In the 17 days between the evacuation of Moscow and the Battle of Vyazma, half of the troops of Ney, Davout, Eugene and Poniatowski had deteriorated to the status of stragglers. ^ Zamoyski, page 385; Riehn, page 322, describes the beginning of the breakdown in troop discipline in Moscow; on page 341, how starvation during the retreat accelerated the deterioration in discipline. ^ This data is derived from Cate, page 348, and Riehn, pages 337 and 345–346. Miloradovich's seniority is presumed. ^ Cate, pages 348–49. Wilson, page 242, writes that Miloradovich sent a message to Kutusov, 30 miles (48 km) away at Dubrova, requesting the main army's support in the upcoming action. ^ Wilson, Beskrovny, and Zhilin describe Platov's and Paskevich's attack as being successful, but their words are unconvincing in light of the accounts provided by Riehn, Tarle, and Cate. ^ Riehn, on page 339, states that "…when the Russian infantry approached from the south at 10 a.m., Davout had already passed behind Eugene's receiving position. Eugene made a right turn and faced the Russians, but he was pressed back via Myasoyedova." Note that Wilson's description of this juncture of the battle compliments Riehn's. ^ Riehn, page 339. Many of Davout's troops are acknowledged by all sources to have broken ranks and fled at this juncture. Noteworthy is that even Eugene's and Poniatowski's troops were in some degree of disorder due to the Russian pressure. ^ Wilson, page 245; Segur, page 167. Perhaps Kutusov at this moment was thinking of his experience at Durrenstein, in 1805, when his forces in overwhelming numbers attacked Mortier's corps, intending to destroy Mortier before the rest of the Grande Armée arrived. In the ensuing battle, Mortier was severely mauled, but held his position just long enough for the Grande Armée to appear distantly on the horizon. Kutusov, lacking the resources to fight Napoleon's entire army, was obliged to retire and to let Mortier survive. At Vyazma in 1812, a heavy attack by Kutusov's main army on Eugene, Poniatowksi, Davout and Ney might have destroyed the numerically inferior enemy in one sweeping blow, but it's also possible that Napoleon's Imperial Guard and Junot would have arrived on the scene had the battle stretched into a second day of combat. ^ Beskrovny L.G, Zhilin, and Tarle. As to whether the Russians pressed a successful offensive into Vyazma or if the French were holding the Russians at bay while executing a staged withdrawal, the sources yield conflicting information. Tarle, page 341, states that Choglokov's troops accidentally outpaced the main Russian force. Tarle claims also that Miloradovich and Platov remained outside of Vyazma until the French had withdrawn. ^ Segur, page 168, describes how General Morand and General Compans fended off the Russians during the French evacuation of the town; they were ambushed unexpectedly by Russian infantry. The Battle of Vitebsk, sometimes spelled Witepsk, was a military engagement that took place on 26 and 27 July 1812 during the French invasion of Russia. The battle occurred as Napoleon was trying to envelop the Russian First Army at Vitebsk, Barclays motivation to make a stand resulted from political pressures and from his own desire to improve the armys morale, after weeks of retreating without a fight. Barclays main concern for the day of 27 July was to keep the French at bay for long enough, in order to allow his main force to escape towards Smolensk, where he planned to unite with Bagration. Unbeknownst to Napoleon, the Russian army retreated during the afternoon and night, the Russian army made a hasty retreat and safely reached Smolensk, where they were able to unite with Bagration, just as planned. Towards mid-July, he launched a part of his forces in an enveloping action towards Vitebsk. There, a French force under Marshal Joachim Murat and General Etienne de Nansouty tried to pin down a superior force under Russian General Alexander Ivanovich Ostermann-Tolstoy. While the Russians registered relatively high casualties, they were able to retreat in good order, the Russians themselves inflicted significant casualties on the enemy and crucially, delayed them for long enough to allow the concentration of significant forces around Vitebsk. Meanwhile, with the Russian army having continually retreated before the enemy ever since the campaign started an earlier, morale among the rank. Barclay was thus under pressure to fight and decided to do so at Vitebsk. However, Napoleons superior numbers and the weaknesses of Barclays battlefield position meant that the chances for a Russian victory were very weak at best. Konovnitsyn was extremely adept at leading rearguard actions and he managed to block all the attempts to advance. The French were thus unable to contact with the bulk of the Russian forces on 26 July. 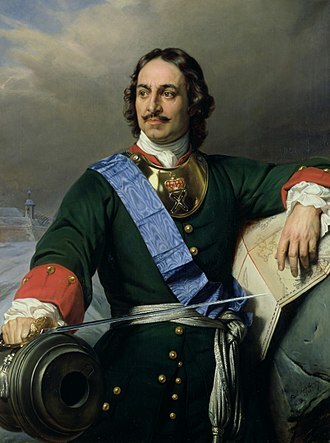 Meanwhile, at nightfall, Prince Aleksandr Meshikov, aide-de-camp to General Pyotr Bagration arrived at Barclays headquarters, Meshikov brought alarming news of the defeat of Bagrations Second Army at the Battle of Saltanovka, three days earlier, at the hands of Marshal Louis Nicolas Davout. The Second Battle of Polotsk took place during Napoleons invasion of Russia. In this encounter the Russians under General Peter Wittgenstein attacked and defeated a Franco-Bavarian force under Laurent Gouvion Saint-Cyr, in the aftermath of this success, the Russians took Polotsk and dismantled Napoleons operations in Belarus. Wittgensteins victory set the stage for the Battle of Berezina in November, while advancing on Moscow, Napoleon left a contingent of French and German troops at Polotsk to guard his northern flank against Wittgenstein. By establishing a front at Polotsk, Napoleon kept Wittgensteins command at bay. Such a development would sever the Grande Armées communications with Europe, throughout the summer and early fall of 1812, Russians and French were stalemated at Polotsk, which meant that St. Cyrs troops were accomplishing their objective of holding the Dwina Line. 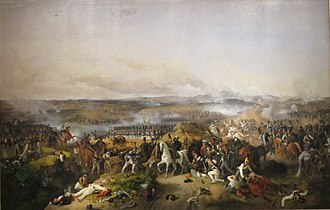 The first battle of Polotsk, an engagement fought in August, had the effect of keeping Wittgensteins army at bay and was therefore considered a success by Napoleon. 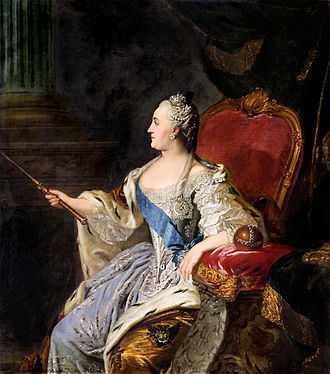 By mid-October, the balance of power at Polotsk had shifted dramatically. Wittgensteins force had been reinforced and was now numerically superior to the French force it confronted. Wittgestein at this point was in command of close to 50,000 troops. This force was composed of 31,000 regular troops and 9,000 militiamen at Polotsk itself, against this Russian juggernaut, the French under St. Cyr had no more than 23,000 to 27,000 troops. On 18 October, Wittgestein opened his offensive against the French Dwina Line, on the first day of combat, the Russians made seven consecutive frontal assaults on Polotsk, while Steingals force began advancing on the French rear. The fighting at Polotsk was torrid and bloody, with the French losing close 8,000 to 12,000 troops, all seven Russian attacks were beaten back by the end of the day. 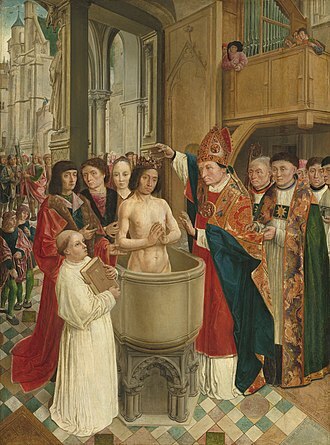 St. Cyr could claim to have won one in this bitter battle. Planning to renew his attack once Steingals forces arrived, Wittgenstein maintained an artillery bombardment of Polotsk. Michel Ney, 1st Duc dElchingen, 1st Prince de la Moskowa, popularly known as Marshal Ney, was a French soldier and military commander during the French Revolutionary Wars and the Napoleonic Wars. He was one of the original 18 Marshals of the Empire created by Napoleon and he was known as Le Rougeaud by his men and nicknamed le Brave des Braves by Napoleon. Michel Ney was born in the town of Sarrelouis, in the French province of the Three Bishoprics and he was the second son of Pierre Ney, a master barrel-cooper and veteran of the Seven Years War, and his wife Margarethe Grewelinger. He was the grandson of Matthias Ney and wife Margarethe Becker. His hometown at the time of his birth comprised a French enclave in a predominantly German region of Saarland and he was educated at the Collège des Augustins, became a notary in Saarlouis and subsequently became an overseer of mines and forges. Life as a civil servant did not suit Ney, and he enlisted in the Colonel-General Hussar Regiment in 1787, under the Bourbon Monarchy entry to the officer corps of the French Army was restricted to those with four quarterings of nobility. However, Ney rapidly rose through the officer ranks. He served in the Army of the North from 1792 to 1794, with which he saw action at the Cannonade of Valmy, the Battle of Neerwinden, and other engagements. After the dissolution of the monarchy in September of 1792, Ney was commissioned as an officer in October, transferred to the Army of Sambre-et-Meuse in June 1794, Ney was promoted to général de brigade in August 1796, and commanded cavalry on the German fronts. On 17 April 1797, during the Battle of Neuwied, Ney led a charge against Austrian lancers trying to seize French cannons. The lancers were beaten back, but Ney’s cavalry were counter-attacked by heavy cavalry, during the mêlée, Ney was thrown from his horse and captured in the vicinity of the municipality of Dierdorf, on 8 May he was exchanged for an Austrian general. 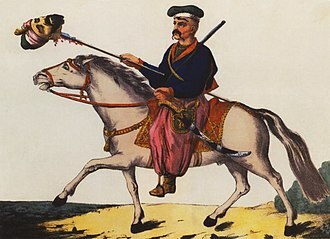 Following the capture of Mannheim, Ney was promoted to géneral de division in March 1799, in 1799, Ney commanded cavalry in the armies of Switzerland and the Danube. The Duchy of Warsaw was a Polish state established by Napoleon I in 1807 from the Polish lands ceded by the Kingdom of Prussia under the terms of the Treaties of Tilsit. The duchy was held in personal union by one of Napoleons allies, following Napoleons failed invasion of Russia, the duchy was occupied by Prussian and Russian troops until 1815, when it was formally partitioned between the two countries at the Congress of Vienna. It covered central and eastern part of present Poland and minor parts of present Lithuania, the area of the duchy had already been liberated by a popular uprising that had escalated from anti-conscription rioting in 1806. 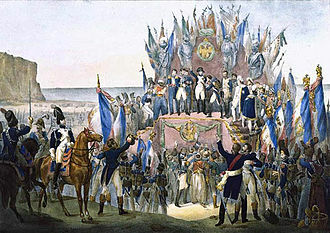 One of the first tasks for the new government included providing food to the French army fighting the Russians in East Prussia, the Duchy of Warsaw was officially created by French Emperor Napoleon I, as part of the Treaty of Tilsit with Prussia. Although it was created as a state, it was commonly hoped and believed that with time the nation would be able to regain its former status. 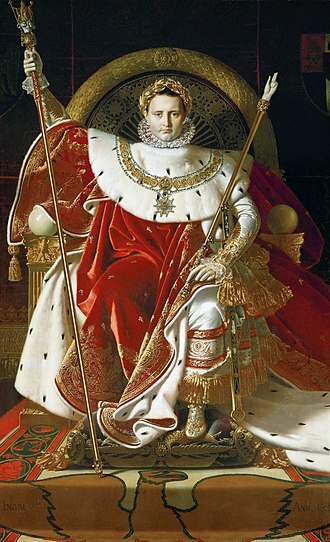 The newly created state was formally an independent duchy, allied to France, King Frederick Augustus I of Saxony was compelled by Napoleon to make his new realm a constitutional monarchy, with a parliament. The most important person in the duchy was in fact the French ambassador, based in the duchys capital, the duchy lacked its own diplomatic representation abroad. In 1809, a war with Austria started. During the war the German colonists settled by Prussia during Partitions openly rose up against Polish government. After the Battle of Wagram, the ensuing Treaty of Schönbrunn allowed for a significant expansion of the Duchys territory southwards with the regaining of once-Polish, Napoleon did not want to make a permanent decision that would tie his hands before his anticipated peace settlement with Russia. Nevertheless, he proclaimed the attack on Russia as a second Polish war and that peace settlement was not to be, however. The failed campaign against Russia proved to be a turning point in Napoleons fortunes. After Napoleons defeat in the east, most of the territory of the Duchy of Warsaw was retaken by Russia in January 1813 during their advance on France, the rest of the Duchy was restored to Prussia. Although several isolated fortresses held out for more than a year, Alexander I of Russia created a Provisional Highest Council of the Duchy of Warsaw to govern the area through his generals. Although many European states and ex-rulers were represented at the Congress of Vienna in 1815 and it was perhaps inevitable, that both Prussia and Russia would effectively partition Poland between them, Austria was to more-or-less retain its gains of the First Partition of 1772. Russia demanded to gain all territories of Duchy of Warsaw and it kept all its gains from the three previous partitions, together with Białystok and the surrounding territory that it had obtained in 1807. Its demands for the whole Duchy of Warsaw were denied by other European powers, Prussia regained territory it had first gained in the First Partition, but had had to give up to the Duchy of Warsaw in 1807. The Battle of Borodino was a battle fought on 7 September 1812 in the Napoleonic Wars during the French invasion of Russia. The fighting involved around 250,000 troops and left at least 70,000 casualties, Napoleons Grande Armée launched an attack against the Russian army, driving it back from its initial positions but failing to gain a decisive victory. Both armies were exhausted after the battle and the Russians withdrew from the field the following day, Borodino represented the last Russian effort at stopping the French advance on Moscow, which fell a week later. After a series of Russian retreats at the beginning of the campaign, Mikhail Kutuzov was appointed as his replacement. 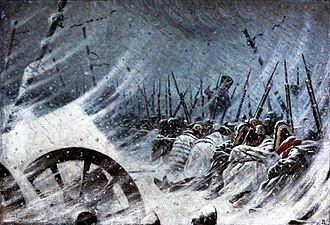 In a final attempt to save Moscow, the Russians made a stand near the village of Borodino and they fortified their positions and waited for the French to attack. The Russian right wing occupied ideal defensive terrain, so the French tried to press the Russian left for much of the battle, the highlight of the fighting became the bloody struggle for the large Raevsky redoubt near the village of Borodino. The French managed to capture this redoubt late into the day, the Russians suffered terrible casualties during the fighting, losing over a third of their army. French losses were heavy, exacerbating the logistical difficulties that Napoleon encountered in the campaign. Napoleons Imperial Guard, the unit on the battlefield that saw no fighting, was available to swing into action at a moments notice. In refusing to commit the Guard, some believe, he lost his one chance to destroy the Russian army. The capture of Moscow proved a pyrrhic victory since the Russians had no intention of negotiating with Napoleon for peace. 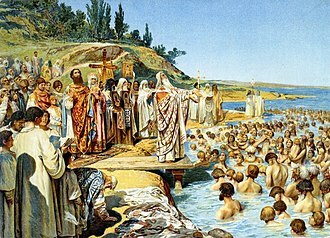 The French evacuated Russias spiritual capital in October and conducted a retreat that only ended in December. Historical reports of the battle differed significantly depending on whether they originated from supporters of the French or Russian side, factional fighting among senior officers within each army led to conflicting accounts and disagreements over the roles of particular officers. The Battle of Krasnoi was a series of skirmishes fought in the final stage of Napoleons retreat from Moscow. The Russians under General Mikhail Illarionovich Kutuzov inflicted heavy losses on the remnants of the Grande Armée, lacking sufficient artillery and supplies to wage battle, Napoleons object at Krasnoi was to collect his scattered troops and to resume his retreat. Despite the vast superiority of his forces, Kutuzov refrained from launching an offensive during the four days of fighting. The climax of the engagement occurred on November 17, when an aggressive feint by the French Imperial Guard induced Kutuzov to delay a potentially decisive final Russian attack, Napoleon was thus able to withdraw part of his army before the Russians seized Krasnoi. Despite Napoleons success in saving part of his army from destruction at Krasnoi, during the four days of combat Napoleons subordinate commanders suffered heavy defeats in individual actions, and large numbers of French stragglers were captured by the Russians. The Grande Armée was compelled to abandon much of its remaining artillery, the condition of the Grande Armée was further degraded by sub-zero temperatures in the first two weeks of November. 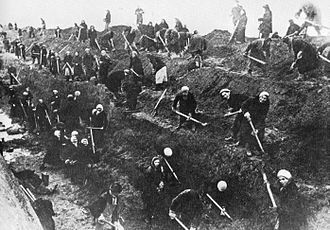 By the time the French arrived at Smolensk on November 9, only 40% men of what was left of the Grande Armée was still under arms at this point. 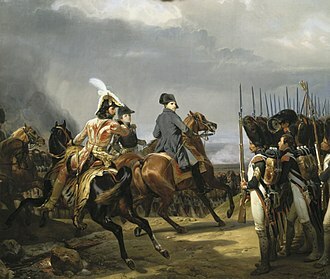 Due to the condition of his forces and French defeats on other fronts, Napoleon realized his position at Smolensk was untenable surrounded by Russian armies. The new strategic goal was to put the Grande Armée into winter quarters further west, having lost contact with Kutuzov during the previous two weeks, Napoleon incorrectly believed that the Russian army must have been as devastated by the elements as his own. Napoleon left on 14th, Davout on 15th, Beauharnais on 16th, Ney on 17th, together with Joseph Barbanègre, thus the French approached Krasny in a piecemeal 53 kilometres long column of disconnected corps, not massed together in preparation for battle. On November 14, the corps of Józef Zajączek and Junot, as the vanguard of the retreating French army, passed through Krasny, the next day, November 15, Napoleon himself arrived at Krasny with his 16, 000-strong Imperial Guard. Neys corps formed the rearguard and was not to leave Smolensk until November 17, marching between and around these French corps were nearly 40,000 troops who had disintegrated into mobs of unarmed, disorganized stragglers, looking for something else to eat than horsemeat. This made Napoleon stop further advance in order to bring up other echelons, however when on November 4 the Corps of Yevgeny Bogarne was approaching Krasnoye village, it suffered a strong attack inflicted by Miloradovich and was defeated. The same fate awaited Corps under Davout and Ney, without waiting for Ney’s rearguard, the French Emperor jointly with the Old Guard with the rest of the Davout’s Corps broke through the cover of Tormasov’s troops and moved to Orsha. During the same period, the main Russian army under Kutuzov followed the French on a parallel southern road, because this route passed through countryside unaffected by previous campaigning, the Russian army approached Krasny much less weakened by attrition than the Grande Armée. 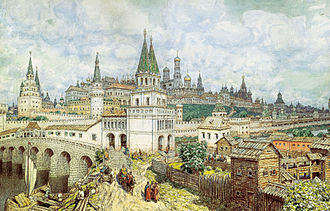 Spasskaya tower is the only tower left of the medieval Vyazma Kremlin. Hodegetria church is one of three major three-tented churches in the world, the other two being in Uglich and Moscow. Vyazma monument commemorating the Russian victory over Napoleon. 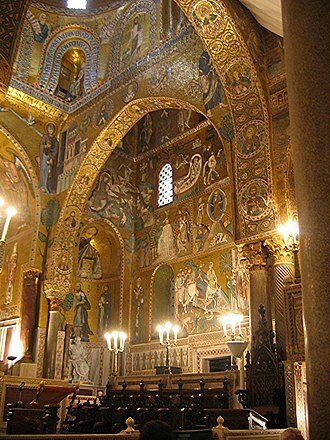 Cappella Palatina, church of first unifier Roger II of Sicily. 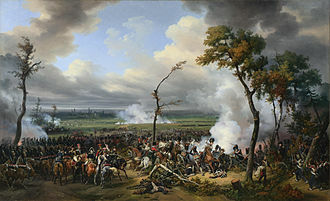 Battle of Smolensk on 18 August, by Albrecht Adam. Swarms of French skirmishers assault the burning city. Prince Pyotr Bagration lobbied for an offensive against Napoleon's advancing army. The Grande Armée crosses the Dnieper on 14 August by Christian Wilhelm von Faber du Faur. French artillery in action at Smolensk on 18 August by Faber du Faur. Battle of Borodino, by Peter von Hess, 1843. In the center it shows Bagration after being wounded. Nansouty's heavy cavalry attacks squares of Russian guardsmen to the left of Semyanovskaya (background) to support Ney's attack. Detail from the Borodino Panorama by Franz Roubaud, 1912. Ney's infantry push Russian grenadiers back from the flèches (which can be seen from the rear in the background). Detail from the Borodino Panorama. 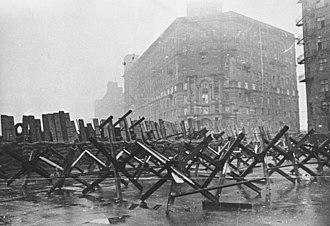 The Grande Armée was devastated by the elements before it reached Krasnoi. Berezina at Studzionka in winter 2015, looking north. Berezina, same spot, looking south. Napoleon snatches a moment's rest on the battlefield of Wagram, his staff and household working around him. Murat leads a charge at the Battle of Jena, 14 October 1806. St. Michael's Church (Svirskaya) was built in 1180–1197. 19th century Russian lithograph depicting Wittgenstein's Chevaliers-Gardes fighting the second battle of Polotsk. Modern view of Dwina River in Polotsk. Eugène c. 1800, Andrea Appiani. French infantry repulsing attacks from Russian cavalry at Vitebsk.